Come with me and you’ll be in a world of pure imagination. Willy Wonka knew that he created a magical little world inside his chocolate factory, and when he allowed a few members of the public in… well, they were in awe. While some of the visitors had… unusual… experiences at Wonka’s factory, you don’t have to worry about such things at this enchanting place. 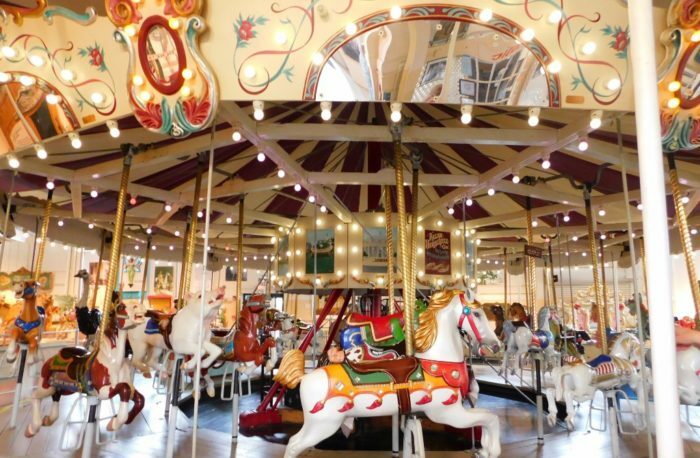 Rather than a chocolate river (and cavities from all that sugar), you’ll find other notes of nostalgia and cherished childhood memories at this real-life wonderland featuring music, movement, and marvelous merry-go-rounds. The best part? 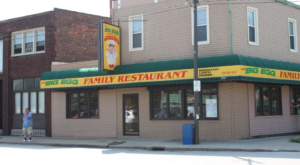 It’s just a short drive from Cleveland, so there’s no better place to go when you need to add a little magic to your life. 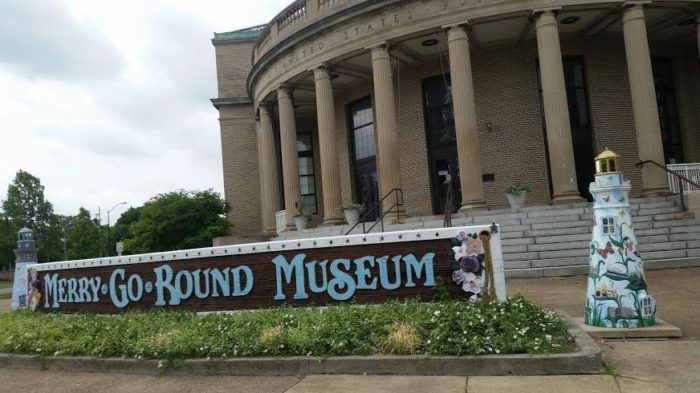 Sandusky is overflowing with splendid attractions, but nowhere is quite as magical as the Merry-Go-Round Museum. Located inside the former post office on Jackson Street, you’ll find a museum that has delighted visitors since 1990. 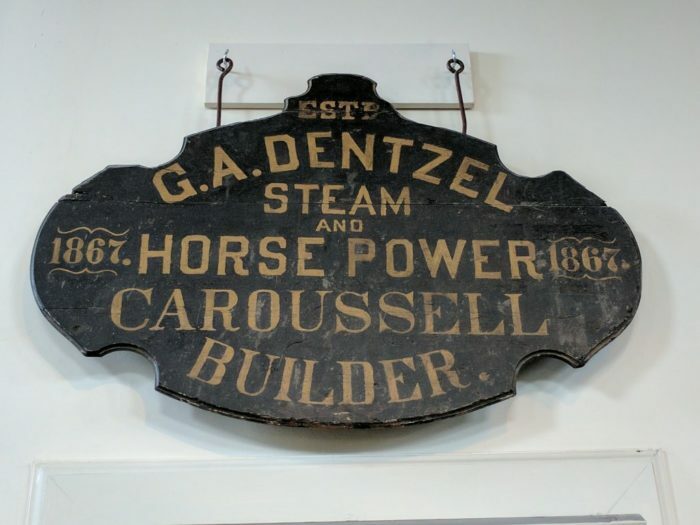 This museum preserves and celebrates the legacy of the carousel in a hands-on way that attracts people from all around the world. 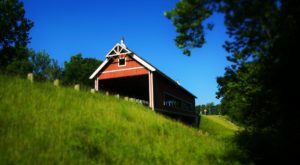 Visitors encounter exhibits, a working woodcarving shop, and a working carousel that you can actually ride. Admission is $6 for adults and $4 for children, and seniors can enjoy admission for only $5. 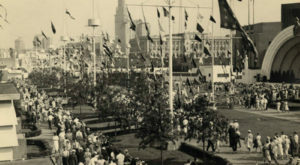 Admission includes one ride token, so you'll have the opportunity to feel like a kid at the fair again. During the tour, you'll find yourself mesmerized by the beauty of the museum's fully restored collection. 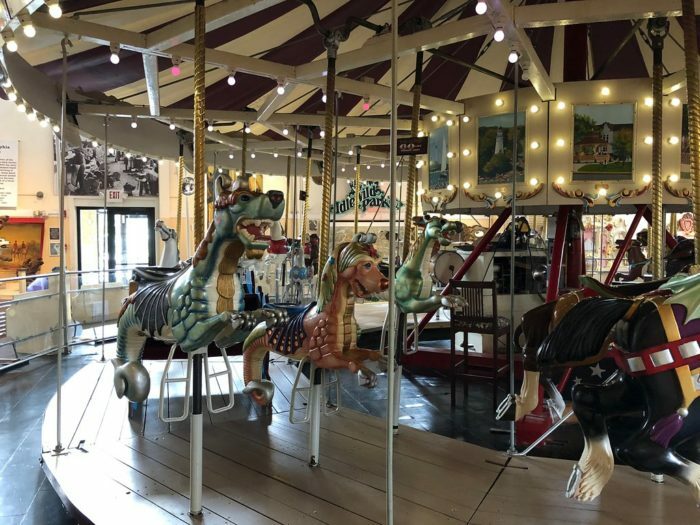 Today, there are only about 200 original wooden carousels still in operation in our country, making the iconic carousel something of a fading childhood memory. Visitors are enchanted by the museum's dedication to preservation, and they're always amazed by the skill of the in-house carvers. 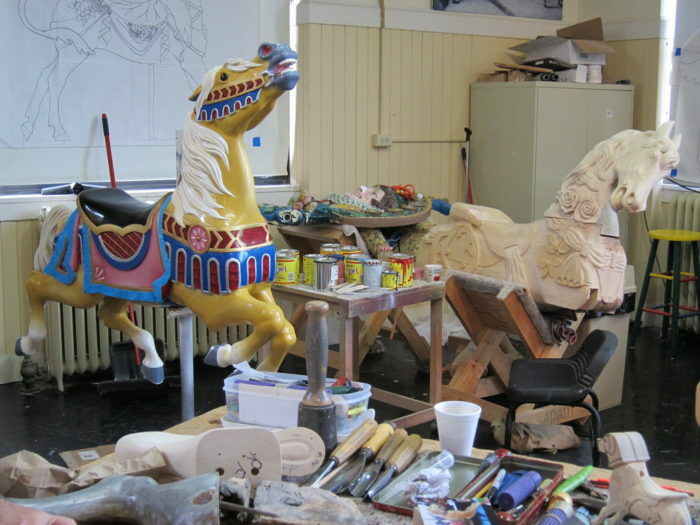 Carousel animals are beautiful works of art, and the team here truly knows how to bring each piece to life. The museum’s restoration shop uses carving techniques that have been in existence for hundreds of years, striving for historical accuracy and working to preserve tradition at the same time. This museum's menagerie is unlike anything you've ever seen outside of your childhood imagination. 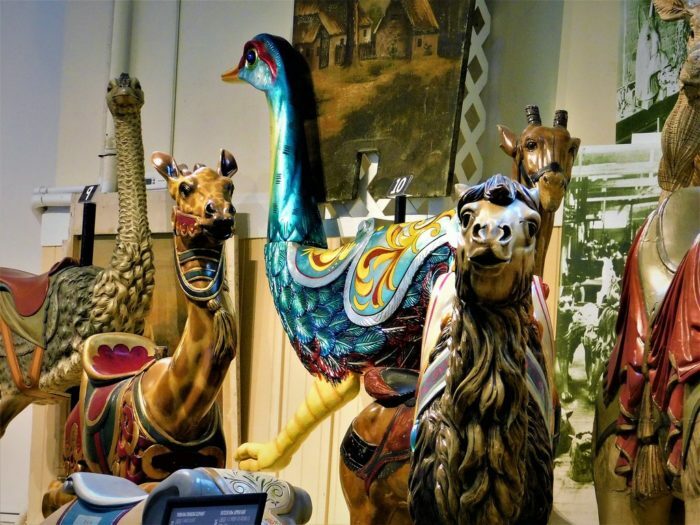 The animals at this museum may not make a peep, but visitors enjoy taking in their beauty and the playful notes of organ music. The museum also has an unusual surprise: it’s said to be haunted! But don’t worry - the spirits here are pretty friendly. Paranormal experts suggest that certain objects within the museum may be keeping the spirits around. Muller’s Military Horse, for example, is a replica of one that particularly beloved by its carver’s wife. Her spirit reportedly chose to spend part of her afterlife continuing to ride it, and the museum’s replica seems to have attached her spirit, just as the original did. However, the museum’s most famous resident spirit is that of a little girl, and she’s quite playful! The ghostly girl is said to be attached to an item that came to the museum from an estate. Which specific item it is remains a mystery, her spirit leaves behind small footprints, and guests have heard her giggle and even playfully tug on their clothing or hair. She’s certainly not out to scare anyone! 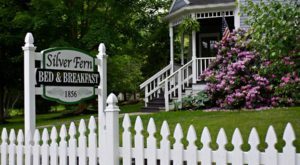 Spring hours are in effect right now in this recently renovated museum, and locals love visiting it during spring break. 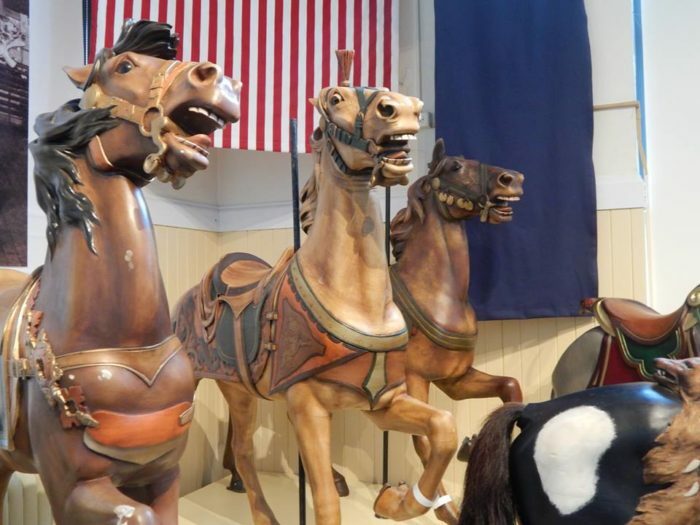 The Merry-Go-Round Museum is currently open Wednesday through Saturday from 11 a.m. to 4 p.m. and on Sunday from noon to 4 p.m.
Ohio's most magical museum is doubtlessly the Merry-Go-Round Museum. 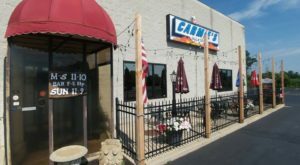 In addition to the museum, Sandusky is full of other attractions as well, so it’s well worth the journey from Cleveland. 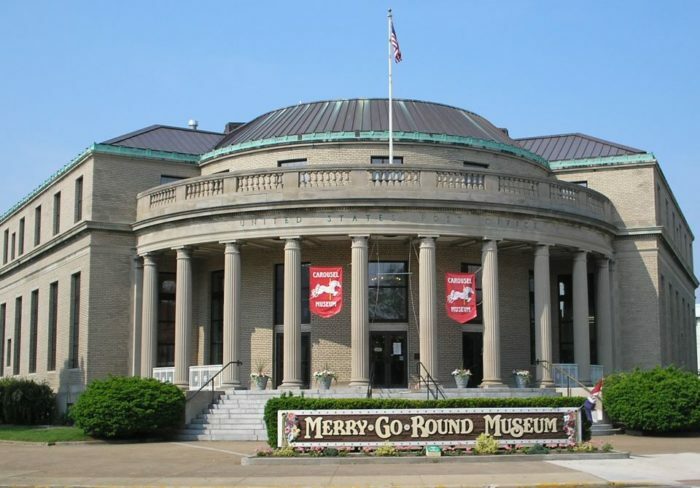 The Merry-Go-Round Museum is located at 301 Jackson St., Sandusky, OH 44870. 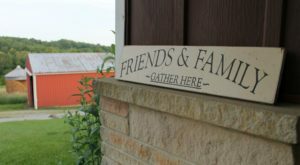 For more information, visit the museum’s website here and follow along on its Facebook page here. 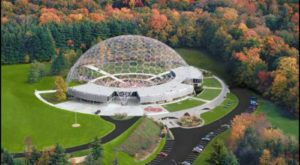 There is no place to go to compare with your imagination, but this museum is doubtlessly the closest thing to it in real life. 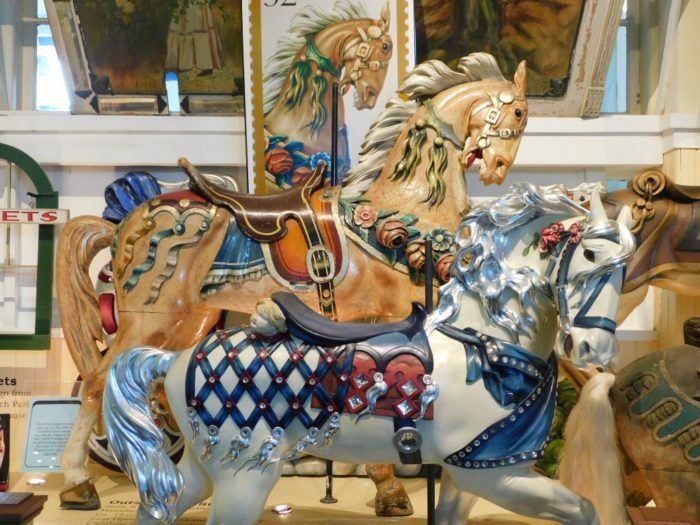 Which carousel animal is your favorite? 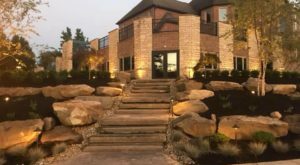 If you enjoyed this unique museum, you’ll have loads of fun at the super quirky troll museum here in Northeast Ohio.